When it comes educating our kids about food and farming, an inspiring model has sprung up just south of Hatch in Milwaukee, Oregon. An acre of underutilized public property adjacent to Candy Lane Elementary School has been transformed into a diversified CSA (Community Supported Agriculture) farm that is providing educational classes to the elementary school students, as well as offering an engaging summer school program. Justin Davison, co-founder of Schoolyard Farms and the winner of the first Hatch:Soup, showed us around the farm and explained all of the progress that has been made, as well as what is still to come. With summer school in full swing, the farm is in the midst of infrastructure projects that will drastically improve their economic sustainability. An example of this is the installation of fencing around the perimeter of the farming area in order for food to meet requirements to be served in the cafeteria. Schoolyard Farms is the epitome of community cultivation and directly bolsters a healthy community by putting fresh food straight into the hands, head, and heart of local youth. The location keeps agriculture salient and the folks running the farm sow a quality of business acumen into the design that makes it a must-follow (and must-get-involved) project. Schoolyard Farms is in the midst of an IndieGoGo campaign and is happy to add to the number of CSA and summer school members. At our inaugural Hatch:Soup event in May, Justin walked away with just under $550 and informed our office that it would go towards summer school scholarships to help ease the cost of enrolment for qualified families. Five of the kids benefiting from that were there when we visited, taking part in a weeding competition, which was followed by a quick snack and some story time. Thanks to Justin and Schoolyard Farms for their great work, and thanks to all of those who supported them through Hatch:Soup. 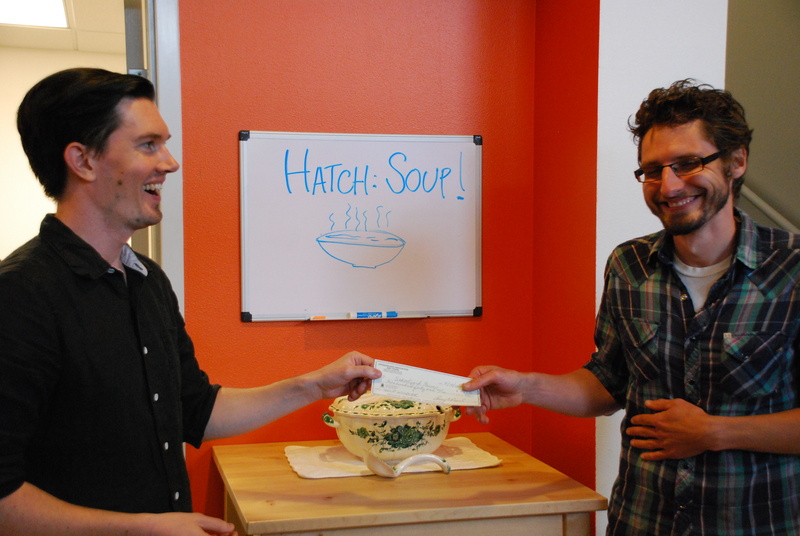 Don’t forget to buy a ticket to the next Hatch:Soup to support a new round of community heroes!